“The Most Terrible Ball Of Them All!,” started it all, at Alan Freed’s 1952 Moondog Coronation Ball. Still, we do not know why Alan Freed underwent this rapid radio-career transformation. Was this Freed’s brainchild or someone else’s? History doesn’t tell us why a 29 year old, white disk jockey would choose to play segregated music (rhythm ’n’ blues) to a segregated audience (African-Americans) from 11:15 PM ~ 1:00 AM? This was not a viable career path to fame and fortune in Cleveland, Ohio in the 1950s. Folklore, “…an often unsupported notion, story, or saying that is widely circulated…” must not be mistaken for fact. (Merriam~Webster’s Collegiate Dictionary Eleventh Edition, Springfield, Massachusetts, 2009, p. 486) Contrary to conventional wisdom, Freed’s radio audience, for all intents and purposes, was strictly African-American, comprising both adults and older teens.Who else would be listening to this segregated music? Certainly not Cleveland’s white population. How do we know this? During the school week, few of Cleveland’s black or white young-teen, school-age children, would have been permitted to listen to Alan Freed’s Moondog House from 11:15 PM – 1:00 AM. By 11:15 PM, their households were already fast asleep. Both parents and children had to get up early to go to work and school, respectively. Furthermore, how many Cleveland parents would allow their young children to attend a Friday night dance that didn’t start until 10:00 PM and ended at 2:00 AM? Alan Freed was not on their minds. In 1952, Philip H. Ennis was part of a research team hired by Broadcast Music Incorporated (BMI). The project dealt with disc jockeys and their importance in making hits. In late 1952, Philip Ennis spent two days interviewing the above mentioned, 29 year old Bill Randle, from radio station WERE. 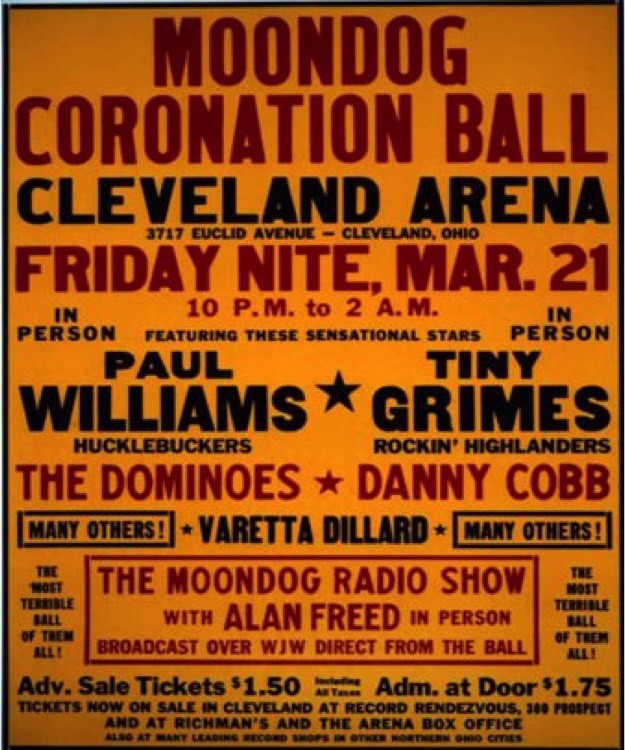 By now, Alan Freed’s March 21, 1952 Moondog Coronation Ball was a thing of the past. 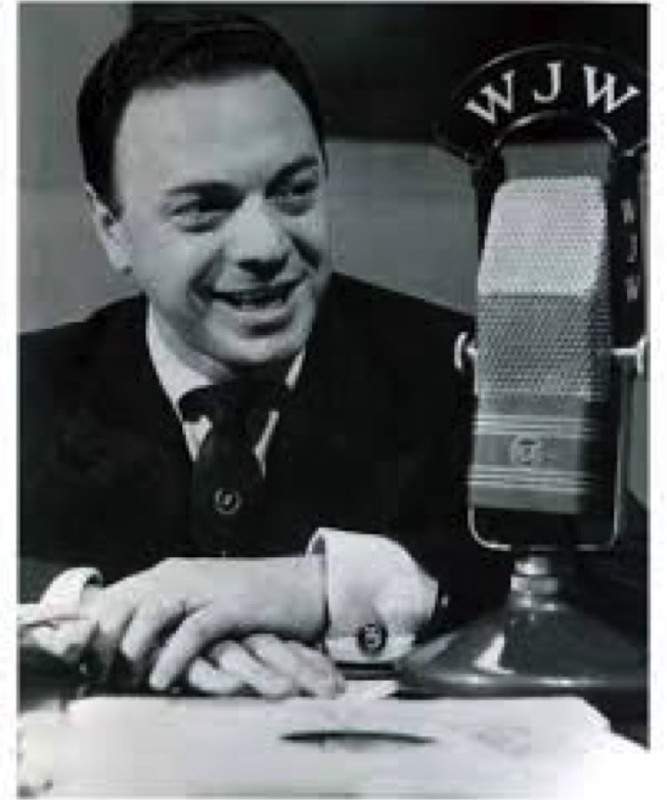 According to Ennis, it was ironic that, “… Alan Freed, just down the street in a competing radio station, was neither on our list of ‘important’ disk jockeys nor on the list of ‘average’ disk jockeys, nor was he mentioned to me by Bill Randle…There I was in the city of rocknroll’s (sic) founding, and I didn’t find the founder…“6 Clearly, in this case, race trumped irony. Freed’s musical format and audience guaranteed his exclusion from both lists. In closing, I am reminded of Ralph Ellison’s words, “…I am invisible, understand, simply because people refuse to see me…”7 1952 was not the year Popular music discovered rhythm ’n’ blues music. Rhythm ‘n’ blues remained a segregated music like its audience. February 26, 2016, Alan Freed biographer, John A. Jackson, in a telephone conversation shared his Alan Freed timeline with me for the above two dates. Jackson, John A., Big Beat Heat: Alan Freed and the Early Years of Rock & Roll, New York, Schirmer Books, 1991, p.1, 2. Junod, Tom, Oh, What A Night!, LIFE, December 1, 1992,Vol. 15, No. 13, page 37. Coleman, Rick, Blue Monday: Fats Domino And The Lost Dawn Of Rock ’N’ Roll, Cambridge, MA, Da Capo Press, 2006, p. 95. Smith, Wes, The Pied Pipers of Rock ’n’ Roll: Radio Deejays of the 50s and 60s, Marietta, Georgia, Longstreet Press, 1989, p. 174. Ennis, Philip H., The Seventh Stream: The Emergence of Rocknroll in American Popular Music, Hanover, New Hampshire, Wesleyan University Press, 1992 p. 12. Ellison, Ralph, Invisible Man, New York, Vintage Books, 1995, p 3. 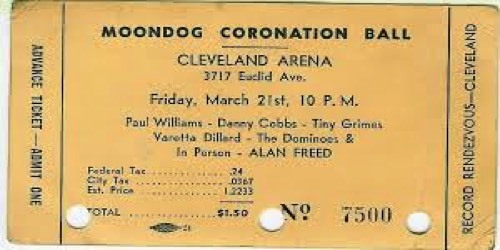 Friday night, March 21,1952 was Alan Freed’s Moondog Coronation Ball. 6,000 people without tickets crashed the event. at his Moondog Coronation Ball.